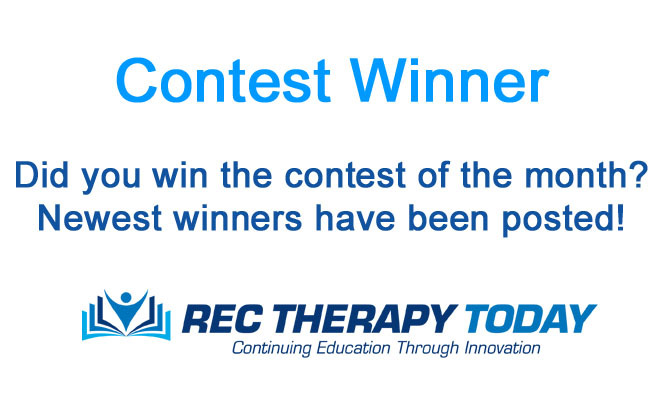 The following ten (10) people won Rec Therapy Care Packs out of the 320 people who entered for a chance to win. Odds of winning were 10 out of 310 (.03125) chance of winning. Random number generator was used to select winners. Purchase of services from Rec Therapy Today does NOT increase chances of winning.